The Food environment assessment tool (Feat) has been developed by CEDAR and the MRC Epidemiology Unit at the University of Cambridge. 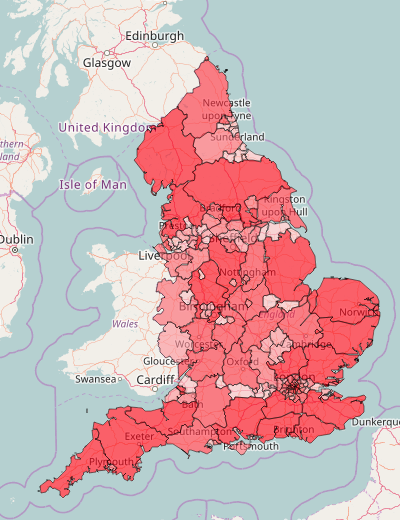 It allows for detailed exploration of the geography of food retail access across England. Feat is underpinned by the latest scientific evidence about how food access in our neighbourhoods affects our dietary choices, body weight and health. It will allow you to map, measure and monitor access to food outlets at a neighbourhood level, including changes over time. generate local evidence for use in the development of Obesity Strategies, Local and Neighbourhood Plans, JSNAs and Strategic Planning Documents.